Successfully 'owning' a colour is a big deal. Here's how a succession of top brands have staked their claim. Colour theory is a central and often overlooked area of design. On a simple level, the colours on the warm side of the spectrum – such as red and yellow – are bold, uplifting and energetic, while their cooler counterparts, blue and green, exude calmness and feel more reserved. This is particularly relevant when it comes to branding. On an emotional level, in terms of how consumers feel when they look at it; but also on a practical level, in terms of market standout. For a company to effectively 'own' a colour in its sector can provide an enormous competitive advantage, achieving instant recognition – in some cases even without a logo, or even a mention of its name. That's the power of colour, done right. Of course, owning an entire colour isn't easy, and it certainly goes way beyond the logo design: skillful planning and execution is needed across all elements of the brand and its advertising. Depending on the popularity and market saturation of a particular colour, we could be talking as specific as an officially registered Pantone shade (Cadbury 2685C, anyone? ), or as general as being the only brand in competitive set to use that colour. With this in mind, we've explored how different brands around the world have staked their respective claims to 10 colours – in some cases with considerable success. This is a notoriously difficult colour to own in any sector, especially in its primary form. It's the colour of anger and danger, but also warmth and passion. And since it's also scientifically proven to increase your heart rate and raise your blood pressure, it's a bold choice to use it extensively. Two 'red' brands in particular stand out in their sectors – although the first is perhaps the world's most instantly recognised brand in any sector. 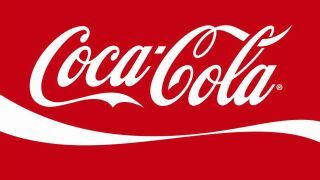 Red is linked so inextricably with Coca-Cola that popular legend tells it rebadged Santa Claus to match (sadly, this is an urban myth). Recent, more minimalist packaging and advertising has pared right back to that primary red, with the customary flourish of white. Meanwhile, America's number-two supermarket chain takes on the ubiquitous blue of its rival Walmart with an ocean of red across its stores, logo, advertising and beyond. Target's shade of red is a registered trademark; communist grocery shop owners beware. Designed in 1997 by Saatchi & Saatchi, Vodafone's previous logo featured a distinctive speech mark symbolising conversation and speech communication, while the red stands for sound, talking and passion. It was set against a silver backdrop representing sophistication and perfection. An update to the brand in 2017 by Brand Union put more focus on the speech mark, maintaining the brand red, but dropped the silver backdrop. Bright, fun and friendly, orange has a playful, childlike appeal and three very different brands claim ownership of it in their respective sectors. There's no better place to start than the brand that's actually named after this colour. Although Orange is now defunct, it still arguably owns this colour. Few telecommunications companies would be foolish enough to try and out-orange Orange. In the US comes a retail chain that's taken to blanketing its stores with a single colour: Home Depot has trademarked orange for use on advertising, lettering or any other signage in its sector, tying things up pretty neatly. And then, of course, there's everyone's favourite budget service provider, easyGroup – another ocean of orange, spanning everything from the original low-cost airline to car rental, finance, hotels and more. It's also the only contender to have tried to out-orange Orange: anyone remember easyMobile?